Super Savings Item! 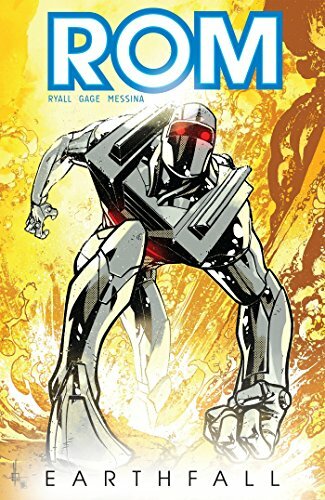 Save 36% on the Rom Volume 1 by IDW Publishing at Translate This Website. Hurry! Limited time offer. Offer valid only while supplies last. Far away, in another galaxy, the knights of the Solstar Order, defenders of justice and truth, were ambushed by the evil magicians, the Dire Wraiths. Far away, in another galaxy, the knights of the Solstar Order, defenders of justice and truth, were ambushed by the evil magicians, the Dire Wraiths. In the end, the Solstar Order prevailed and began seeking out its scattered enemies. One of these knights has followed the trail of the Dire Wraiths all the way to Earth. This knight, the one the Dire Wraiths fear more than all others has hounded them and kept them underground for centuries and could wipe them off the face of creation. He is ROM, Lord of the Solstar Order, Rom, the Wraithslayer. Collects issues #0–4 and Rom: Revolution #1.